A grinder that you can count on. The Mini™ 4-1/2” grinder is a state-of-the-art features include the new and redesigned Walter anti-vibration handle that makes the grinder comfortable to use, and is also built in features that allows for easy replacement of the wheel in a matter of seconds. The Mini™ now features 100 more watts, with a newly re-designed rear vent to keep the armature cooler. 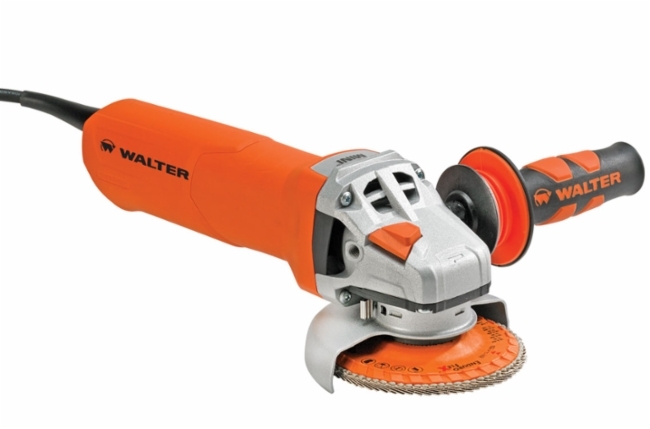 The perfect tool for cutting and grinding applications.